Following an investigation requested by the Consumer Product Safety Commission (CPSC), the Centers for Disease Control & Prevention (CDC) have determined that Lumber Liquidators flooring increases the risk of cancer due to the levels of formaldehyde in the product. According to the CDC, the cancer risk is six to 30 cases per 100,000 people. Think you have a personal injury case on your hands? Contact our Tulsa personal injury lawyers at The Edwards Law Firm. We can fight for the compensation you deserve. Contact us today to get started. Along with the risk of cancer, the flooring could also increase symptoms among those suffering from respiratory issues like asthma and chronic pulmonary obstructive disease (COPD). Others may simply suffer from eye, nose and throat irritation after being exposed to the high levels of formaldehyde. The CDC went on to recommend that consumers take steps to reduce exposure to formaldehyde emitted from select Lumber Liquidators flooring products. However, it did not specify how consumers could reduce such exposure. Lumber Liquidators supports the findings, but also believes the CDC is overestimating the potential health risks. The flooring in question was sold between 2012 and 2015. An investigation has revealed that more than 100,000 homes have had the dangerous flooring installed. 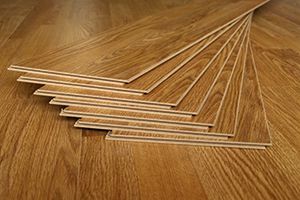 According to the CPSC, the risk related to the flooring will be present for about one to two years after installation. Long-term exposure to formaldehyde has been linked to an increased risk of myeloid leukemia and nasopharyngeal cancer. A class action lawsuit has been filed by claimants who allege Lumber Liquidators knew their products were not compliant with formaldehyde emissions standards, yet still sold the products. A 60 Minutes investigation into the products in 2015 revealed that some pieces of flooring had nearly 13 times more formaldehyde than legally permissible. At The Edwards Law Firm, our toxic tort lawyers can help determine the merits of your claim and if you are eligible to file a lawsuit. Our team has a thorough understanding of toxic tort laws and can help victims of Lumber Liquidators fight for their rights. Get your free case assessment today.